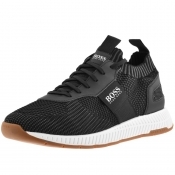 Complete your outfit with our collection of Boss shoes here at Mainline Menswear, with styles constructed in a variety of materials including genuine leather, canvas and synthetic mesh or woven knitted fabrics. 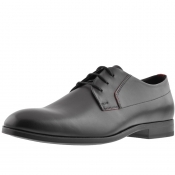 We stock sophisticated formal Boss footwear with classic genuine leather or suede slip on and lace up brogues from Boss Black to complete your perfect work attire. 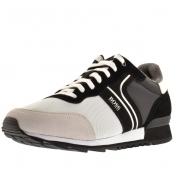 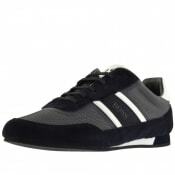 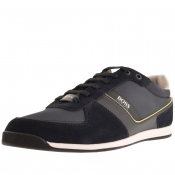 If youre interested in a more sporty yet elegant design, here at Mainline Menswear we also stock the most up to date selection of casual trainers from Boss Green and Boss Orange with full lace fastenings and striking panelled uppers. 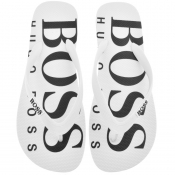 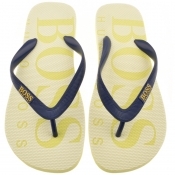 For the warmer months we also stock a range of flip flops with vibrant Boss Green logo detailing. 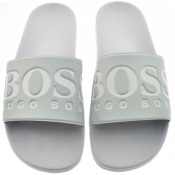 Whether youre searching for the perfect Boss footwear for everyday comfort, to complete your work attire or wear to the gym, here at Mainline Menswear we can cater to your every need..